It would seem Apple Watch’s heart rate monitor is much more intelligent than Apple is letting on. Not only can it read your pulse, but it’s also capable of measuring blood oxygen — a feature Apple could enable in a future Watch update. 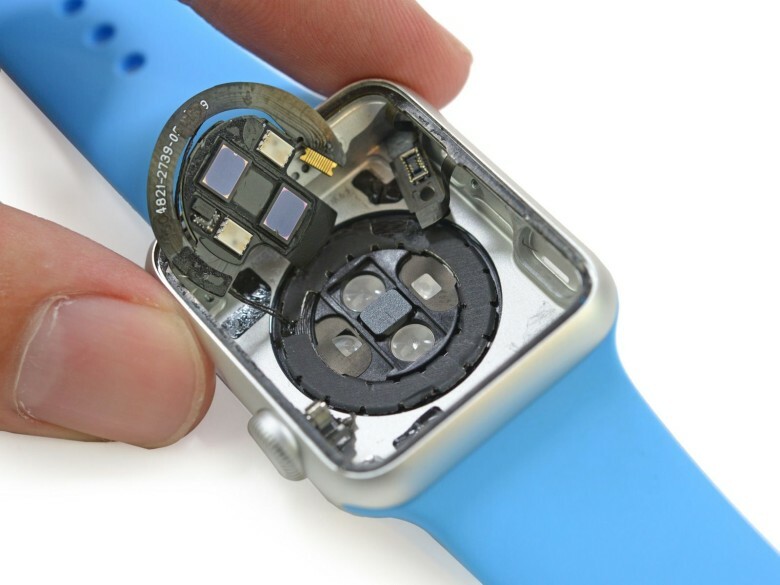 “Apple’s heart rate monitor is actually a plethysmograph — it looks and acts like a pulse oximeter,” says iFixit, which made the finding during its Apple Watch teardown. Like the heart rate monitor on the Galaxy S6 and other Samsung devices, then, the Apple Watch’s can determine how much oxygen is contained in your blood based on the amount of infrared light it absorbs. However, Apple hasn’t activated the feature. iFixit suggests this could be due to FDA regulations, and if that’s the case, we could see the feature activated in a future Watch update once Apple has received the necessary approvals. However, the company may have disabled the feature because it simply wasn’t accurate enough. One Wall Street Journal report claimed Apple had to cut a number of health tracking capabilities because they were too unreliable — and this could be one of them. Having said that, the blood oxygen sensor on my Galaxy S6 appears to be very consistent, and if Samsung can get it right, I’m almost certain Apple can. My money’s on the FDA regulations, then.